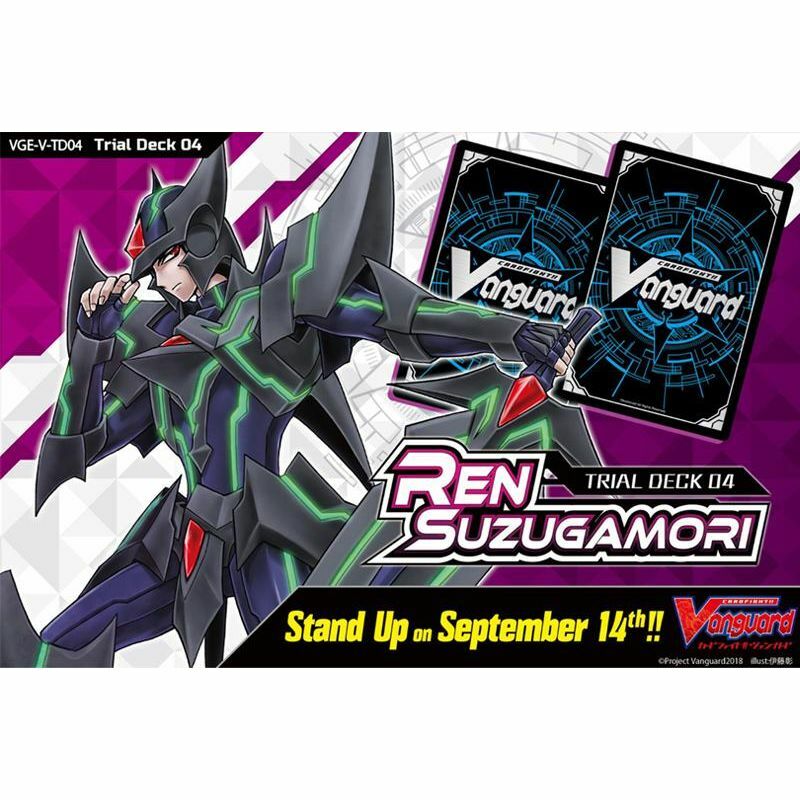 Featuring a Trial Deck for Shadow Paladin, the clan used by Team Asteroid's Leader, "Ren Suzugamori"!! Includes 4 copies of Trial Deck exclusives cards such as "The Dark Dictator" and "Blaster Dark"!! Enjoy the game with just one purchase!! A "Blaster Dark" with Akira Ito's hot-stamped signature will be inserted randomly! A Gift Marker with RRR Treatment and Akira Ito's signature will be inserted randomly too! Trial Deck of 50 cards for the clan : Shadow Paladin - 14 types of cards (14 new cards + inclusive of 4 holo cards).